In 1930, Charles Hyde and David Vredenburg opened a small general store in Beaconsfield, Iowa. That store grew to become Hy-Vee — a company known for excellent service and reasonable prices. They sell their own line of pet food and treats as well as other brands in the stores. 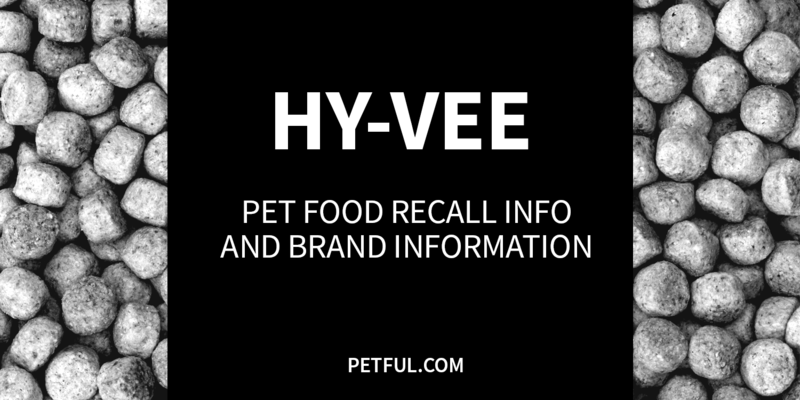 Has Hy-Vee Pet Food Ever Been Recalled? Yes. This brand was recalled in 2013 because of possible aflatoxin. It was also involved in the large melamine recall of 2007. Cause: Aflatoxin suspected. Announcement: FDA report dated Feb. 22, 2013. What was recalled: Hy-Vee Complete Dog Complete Nutrition (4.4 lb., 8 lb., 34 lb. ); Hy-Vee Complete Dog – Bites, Bones & Squares (4.4 lb., 20 lb. ); The recall is limited to certain lot numbers and “Best By” dates. Please see the recall announcement for complete info. Hy-Vee Beef Cuts/Gravy dog food, 13.2 oz. and 22 oz. Hy-Vee Beef/Liver Cuts/Gravy dog food, 13.2 oz. and 22oz. Hy-Vee Chicken Cuts/Gravy dog food, 13.2 oz. Hy-Vee Sliced Beef/Gravy dog food, 5.5 oz. Hy-Vee Sliced Chicken/Gravy dog food, 5.5 oz. Hy-Vee Stew Cuts/Gravy dog food, 13.2 oz. Hy-Vee Flaked Trout Feast cat food, 3 oz. Hy-Vee SL Beef/Gravy cat food, 5.5 oz. Hy-Vee SL Chicken/Gravy cat food, 5.5 oz. Have You Had a Problem With Hy-Vee?